It isn’t often that I leave a restaurant, tea-room or any other place that serves cream teas saying how nice the scones were. In my life, I have spent a happy 32 years in Devon and despite this my exposure to Cream Teas (Cream first…) has been quite minimal. But Killerton Kitchen, a small tea-room/cafe that sits at the back of Killerton House nr Broadclyst, sits in my head as the place to head for a cream tea in Devon. 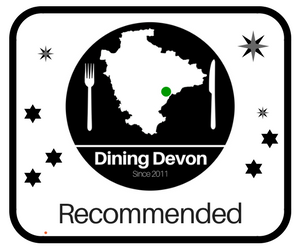 Best Cream Tea in Devon? Possibly, but it’d be interesting to find out from my dear readers to see if anyone else has had a better cream tea! The afternoon was baking, the beautiful gardens surrounding this lovely house seemed to beam with colour and scent. My grandfather is 90, and like the Queen he has two birthdays, a normal birthday which was back at the beginning of June and his ‘official’ birthday which is around this time. We celebrated it last year coming to Killerton on a similiar outing which I wrote about somewhere, but I thought this deserves a proper write up. Killerton Kitchen is a relatively new venture. OK, so it might not be that new but to someone who sporadically visits Killerton to enjoy the immense fertile growth and verdant surroundings of this unique little volcanic outcrop, I have to say that they have done the whole destination coffee shop really well. It is modern, well priced and set in beautiful surroundings. A party of 12 people descended on this relatively medium sized establishment. Richard the Catering Supervisor made us all feel welcome and did his best to cater for our many demands. Best demand was my aunt who wanted Beans on Toast. We had a Cream Tea for 12, various sandwiches, tea, coffee, drinks, and we took up half the largest room of the cafe. At no point did they break a sweat or roll their eyes. The scones were a mixture of normal and fruit. They were freshly baked and tasted amazing. A perfect scone should be able to break in the middle, each one I had broke in to a fluffy mass of niceness and clouds. I have developed a style of taking photos of food halfway through eating them. So not to disappoint regular readers, here it is, Half Eaten Cream Tea. There was plenty of Jam and Cream, and the usual debate as to which goes first. They have lots of cake, and light bites. 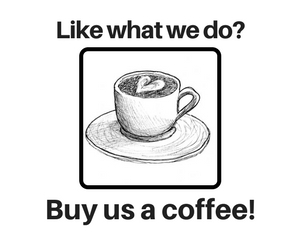 Tea, coffee, cold drinks. All sold within the house itself on the original slab floor. The decor has always been ‘modern’ with a sense of retro forethought. This unique styling means that the whole cafe feels like a photo shoot for some sort of popular modern interior magazine, to some it might be offensive and to others it might be stylish and tasteful. After Katy and Fergus had run around in circles enough to tire them out, it was time to go. We all left in a happy haze of contentment, safe in the knowledge we would be back. The ones at NT Greenway are good too but favourites are just over the border into Cornwall at Cotehele.